Deeper, more meaningful customer interactions inspire people to come back for more. In fact, according to Zendesk, they encourage 42% of customers to repurchase — a level of repeat business that could help your company expand and grow into its next phase. Return customers cost less than new ones. And they’re potential brand ambassadors too, helping to drive even more footfall with their ongoing recommendation of your business. With so many reasons to turn each first-timer into a loyal regular, what are the tools and methods to make it happen? Make a great impression first time. Social media is a powerful marketing tool for small businesses because of its affordability and power to reach the masses. Research has shown that 52% of shoppers discover businesses through Facebook, indicating that these platforms have the power to either attract or deter potential new customers. To make this first point of contact count, get rid of any photos that don’t show your business at its best, update your company “about” sections (especially your address and contact details) and respond regularly and professionally to any follower comments to show that you’re active and involved. The challenge isn’t over when people eventually arrive at your store. The way you present yourself in-the-flesh can tempt people in or turn them away. Keep your space clean and free from clutter, curate your products, get rid of any tired window displays and signage and replace them with something that says, “we’re serious about you being our customer”. If your company logo is looking a little out of date, this could be something to invest in too, because customers love strong brands — they connect to them and recall them far better than weak ones. People get easily overwhelmed with brands vying for their attention, which is why businesses even in the closest communitieis need to be bold and succinct about their benefits. The more ways you can find to clearly communicate why nobody is better-suited to your customers’ needs than, the better. Hire staff who authentically express why positive customer interactions are so important to them. Allow staff to show their true personalities, but be clear about you expect them to greet, treat and advise customers. 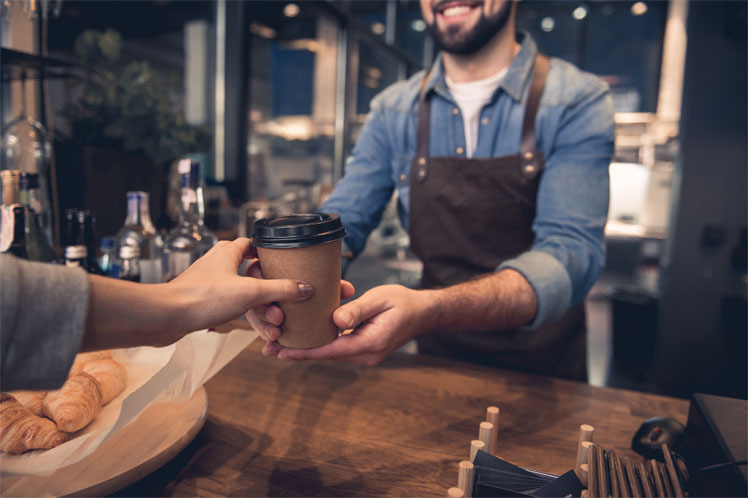 Make sure they’re properly onboarded with systems such as your point-of-sale software. Provide them with everything they need to do their job well, from the right uniform and equipment, to the right support when things get stressful. Reward staff who show they care as much as you do. Most importantly, be a great leader who shows them how great customer service is delivered in-practice. Follow up on in-person experiences. Customer interactions don’t have to end when they leave your store. Following up with thank you emails, gift cards and freebies extends the interaction, keeping the conversation open and encouraging them back for more great service. The key to success here is relevance. If someone has a poor experience of your business face-to-face, it’s highly unlikely that they’ll respond well to a thank you email promoting your products. Instead, a digital receipt that asks for their honest feedback reopens communication channels, and gives you the chance to send a voucher to show you care.